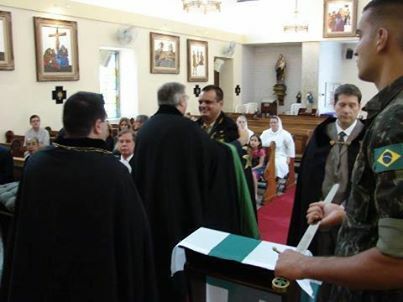 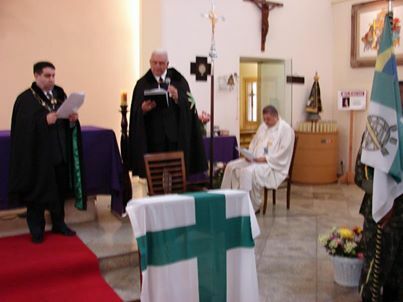 The Grand Priory of Brazil of the Hospitaller Order of St. Lazarus of Jerusalem conducted its fourth annual and solemn investiture in Brazil and thanks to all its members, friends and distinguished guests who attended the Solemn Investiture Ceremony held in March in Rio de Janeiro, this gathering was yet another success for the hard working Grand Priory. 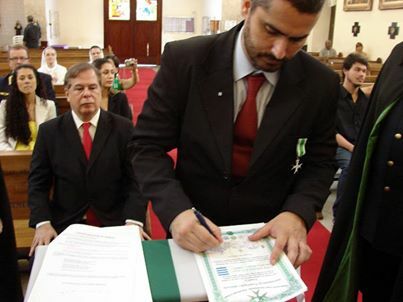 The Comendadoria Agnus Dei from Rio de Janiero received its official decree of consecration which enhanced this special day. 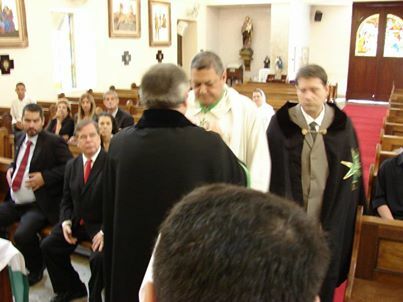 This was the first time that the annual investiture was conducted in Rio since previous investitures were held in Sao Paolo. 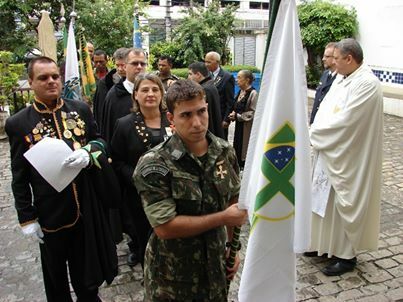 The investiture also saw a deputation flying in from Europe of the Union-Corps San Lazare International, who are sister members of the United Grand Priories and who are also very active in Brazil. 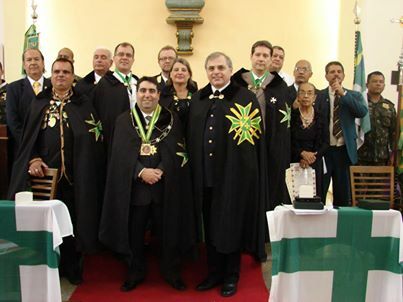 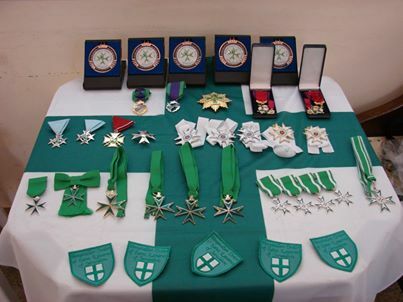 The Grand Prior of the Brazilian Grand Priory, Chevalier Roberto Ortiz, is also the leader of the Brazilian CSLI and this jurisdiction shows in practice how both our teams within the Grand Priory and the CSLI work together and in harmony throughout the year operating Hospitaller work on a constant basis. 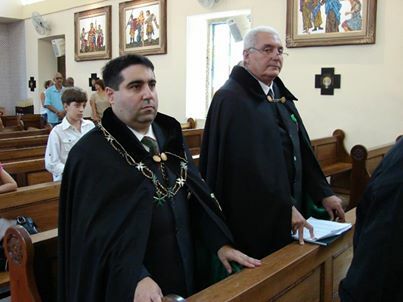 A number of postulants were admitted to the Order and a number of promotions were sanctioned by the Supreme Grand Priory. 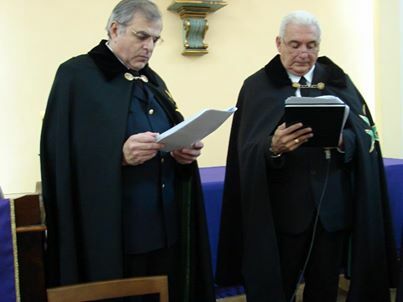 The office of the Grand Chancellor authorised the Grand Master of the Lazarus Union, H.E. 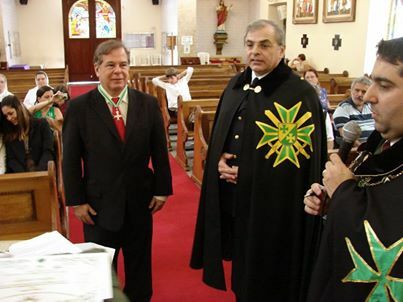 Senator Wolfgang Steinhardt, being the senior Lazarite officer present, to conduct the investiture as investing Grand Officer. 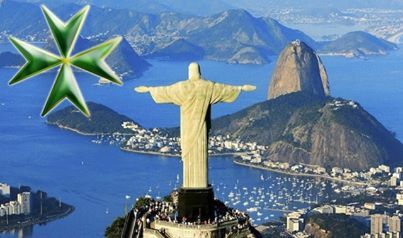 A hearty congratulations to this hard working team.